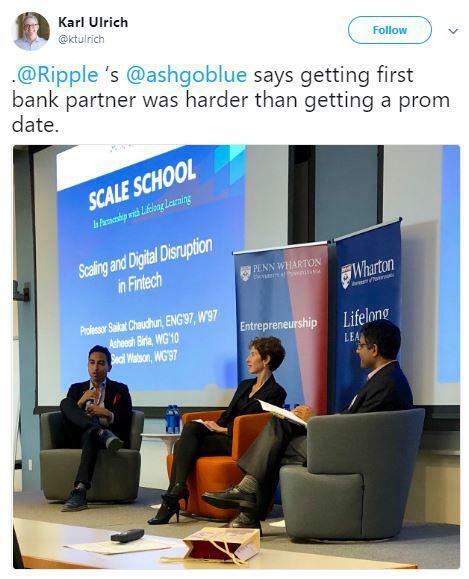 Karl Ulrich, professor at Wharton earlier today tweet, with a picture of Asheesh Birla at the Penn Wharton conference talking about Ripple, where he quoted Asheesh telling that ‘getting to sign the first bank for Ripple was harder than getting a prom date’. Ripple has been working with a lot of Banks, financial corporations, and financial institutions with their digital products xRapid and xCurrent for facilitating cross-border payments and funding real-time liquidity. Earlier, on April 26th, 2017, Ripple announced the addition of 10 financial institutions which were MUFG, BBVA, SEB, Akbank, Axis Bank, YES BANK, SBI Remit, Cambridge Global Payments, Star One Credit Union and eZforex.com. On March 1st, 2017, Ripple also made an announcement of signing 47 Japanese banks. This was done using a cloud-based payments platform. 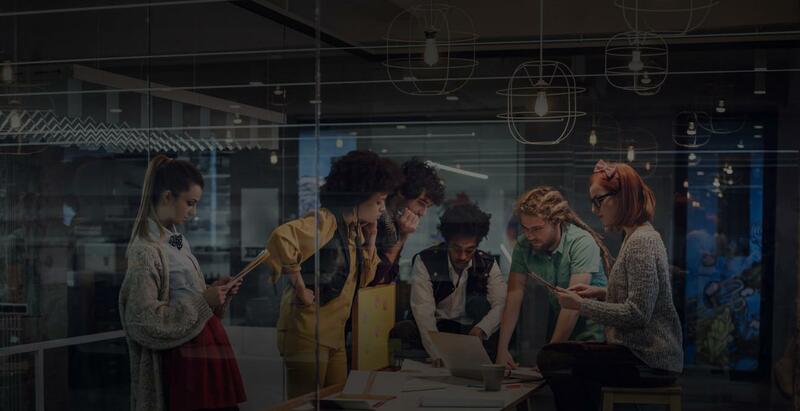 This platform was called RC Cloud, powered by Ripple’s solution and which enables real-time money transfers both domestically and internationally.